In recent years, a host of psychological and biological research has been adding its voice to the age-old wisdom of the world's spiritual traditions in emphasizing the importance of belief and attitude in determining how our lives unfold. Let's look at two very different beliefs about aging. Since the "modern" era began, aging has largely been seen as a time of decline, loss, and withdrawal from active contribution. Look up the word "retire" in the dictionary; most of the definitions include the word "withdraw." Accompanying this view is the belief, held in both overt and subtle ways, that once we retire, "it's all downhill from here." Our best years are over, with us by and large having made our significant contribution to society. Loss of a sense of purpose and meaning, and a flagging of our passions for life, is to be expected. The best we can do is hold on to who we have been for as long as possible, doing our best to stay healthy, enjoying life to the extent our health and finances will allow, perhaps finding some volunteer activities to keep us occupied, and hoping things turn out okay. Contrast this with the perspective that aging as a process of development of character analogous to the development of fine wine over time. Aging is understood as a necessary prerequisite for developing the wisdom that comes only from experience and reflection. This stage of our life provides time and opportunity for focusing on our deepest values, our personal development, our spiritual life, and our relationships with our loved ones and communities. These decades are not just the final chapter after we have passed our prime, but rather a time full of possibility for fulfillment, meaning, passion and active community engagement—if we consciously work to make them so. If we resonate in some way with this second perspective, a critical first step for us is exploring, with as much honesty as we can muster, the beliefs and attitudes we hold about aging. Living in a society that does not honor elders and see value in aging, for most of us these disempowering beliefs are strongly engrained and hold great power. We can only begin to transform these if we first honestly look at the fears, hopes, attitudes and beliefs we carry about our aging process. Only by becoming conscious of those inner dynamics that shape our lives can we do the necessary work of replacing disempowering inner images with images that can support our growth and fulfillment in our later life chapters. Do I often try to convince myself and others that I am not getting older? If so, why? Do I believe that once I reach retirement age, it’s basically all downhill from there? If so, why? We have choice in how we age. The more we engage in denial, the more we surrender to disempowering beliefs and attitudes, the greater our risk of being painfully unprepared for the inevitable losses as well as the unique opportunities that accompany us on our journey through life’s later chapters. We have the power to choose the beliefs that shape our lives. We have the power to become the kind of people others look to as models for aging well. In whatever circumstances life presents, we can shine our light brightly. We can live and age consciously, and in so doing transform the journey of aging for ourselves and our society. Ron Pevny is the host of the Transforming Aging Summit. 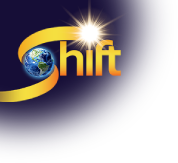 As a faculty member with The Shift Network Ron will be offering a training program on Transforming Your Journey of Aging in March 2015. Ron Pevny is Director of the Center for Conscious Eldering and author of the new book Conscious Living, Conscious Aging published by Beyond Words/Atria Books. Ron can be reached by email by clicking here.